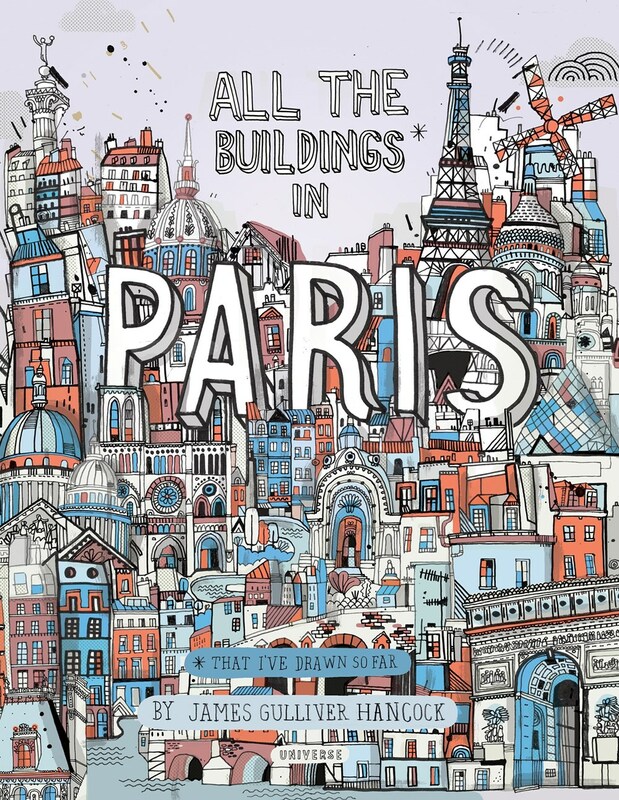 All the Buildings in Paris (That I've Drawn So Far) is the latest in James Gulliver Hancock's All the Buildings series (with his previous books focusing on New York and London), and I don't know if it's because he's honing in on Paris this time, but I think this one might be my favorite! All the Buildings in Paris is essentially a love letter to Paris' architecture. 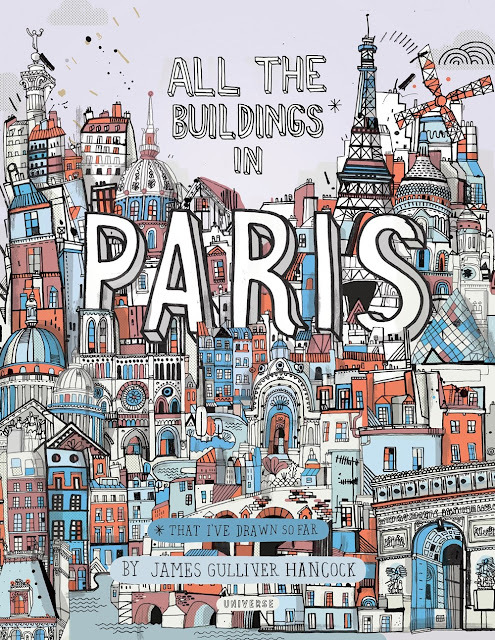 There's no strict narrative story to this book, but it's easy to read between the lines and recognize that we as readers are being carried on a tour through the streets of Paris and shown which buildings are interesting and what makes them unique. We see everything from Notre Dame to the Louvre to the Eiffel Tower, and we even get a glimpse of more modern landmarks like the Centre Pompidou and the Grande Arche. 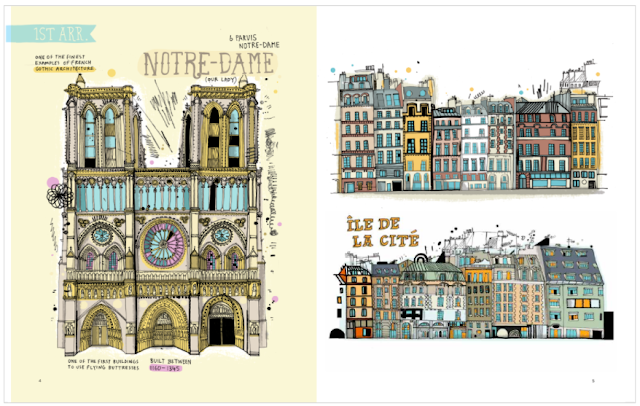 Of course, Paris is a natural subject for studying buildings. With its rich history, it's a gold mine for studying different types of architecture throughout the years and how they've evolved to meet they city's ever-changing needs. 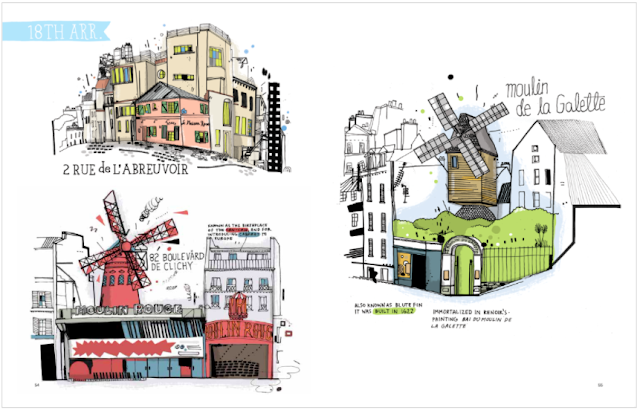 The illustrations are bright and selectively colored against white backdrops, and the hand-lettered font is delightful and welcoming so that our tour through Paris feels personal and lighthearted. 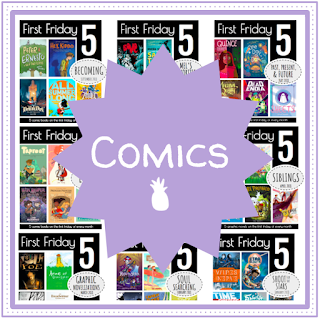 All the Buildings in Paris (That I've Drawn So Far) publishes next Tuesday from Universe Publishing! © All the Buildings in Paris (That' I've Drawn So Far) by James Gulliver Hancock, Universe Publishing, an imprint of Rizzoli New York, 2018.